Stay the night in a world-famous historical landmark – the historic Strater Hotel. 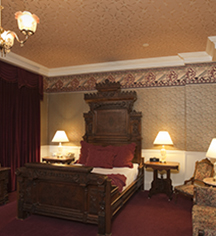 You will be able to step back in time and relish in Victorian luxury while enjoying the spirit of the Old West. 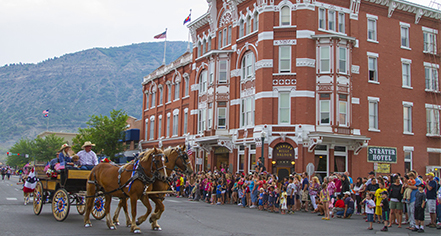 Enjoy a history tour, stroll around Durango, and then come on back and relax at one of our eclectic saloon bars where you may listen to ragtime or other local musicians while being served delicious drinks and food by one of our period dressed and lovely Belle girls. Copy of the "The Strater Hotel Story"